For people who enjoyed Team Fortress Classic and maybe even still play it, there is a new multi-player modification out for Half Life 2 called Fortress Forever. Foobar2000 is a music player that is very lightweight and simple to use when you first install it. Some people find this perfect as the interface is very clean and you don't have all kinds of things in the user interface that you will not use anyway. But others want the music player they use to look more modern, or they want a certain feature to be available. Most people who first start using foobar2000 don't know that it also provides these options, and that you can have a music player that is able to beat most others when it comes to looks and options. Today i discovered a independent online radio station which has owners that see radio as an art form and not a platform to turn out a endless stream of advertisement and mediocre music.At the moment they pay around 10-12% of their income in royalties for the music they play, which seems very reasonable to me.But the "US Copyright Board" has made a decision about online radio which will mean the end of Radio Paradise and many other online radio stations. This new regulation means the stations have to pay not 10-12% but as much as 125% of their income in royalties. So if they don't have some huge advertisers behind them (which will lead to a music station with a lot of advertisement, thus leading to the opposite they want to the station to be) they will not be able to continue their work and passion. If you want to read more about this issue visit Save our internet radio which is made by the owners of Radio Paradise and is a good source for more information. Today i'm trying out SuperKaramba. SuperKaramba is also a widget tool for Linux, but it seems to have a larger user base behind it then gDesklets. gDesklets is Gnome based, but SuperKaramba is KDE based. You can still use SuperKaramba on a Gnome interface, but not everything will work. For Linux there is also a tool available to do this, and it's called gDesklets. If you read allot of books, it's always nice to know if there are others books that you might like based on a list of books you like. Well Unsuggester is kinda like that, but then the other way around. You type in a title of a book you like, and the site servers you a list of books you will probably not like. It is not very useful, but who knows maybe you'll find a nice book even though the system says you will probably not like it. There are several ways to increase your productivity when working behind a computer. One of these ways is to use Find and Run Robot. This program is activated using a hot key, and then you can select an program with ease instead of having to work you way through the start menu. 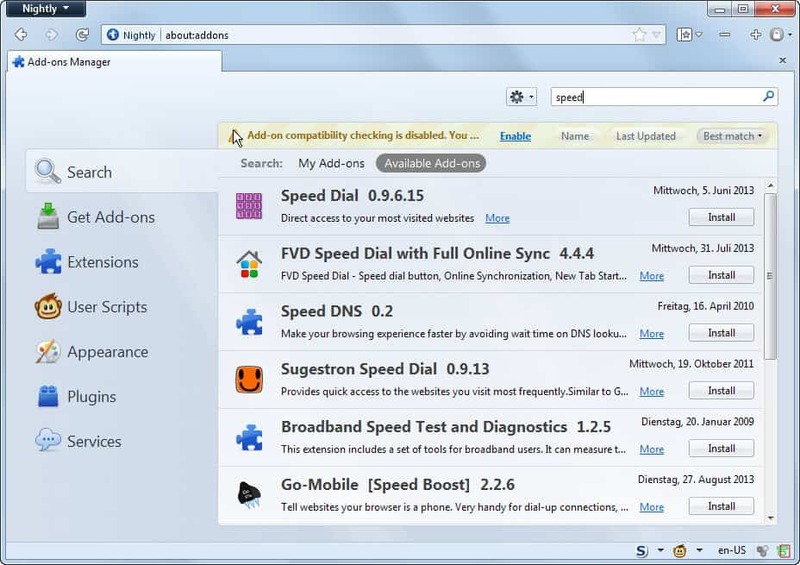 Did you ever had a great idea for a Firefox extension but didn't know how to do it, well it isn't that hard! In these times where computer crimes have become one of the most normal things it's nice that you can protect yourself. And when i found X-NetStat i found a really good solution to this problem. Did you ever want an shortcut bar for programs you tend to use allot? There are a few different programs that do this, and rocketdock is one of them. Ever encountered an 404 error and wanted to have more options then just reloading the page. Then errorzilla is the firefox extension for you! Want to run the 5 big browsers (Internet Explorer 6 and 7, Firefox 1,x and 2,x and Opera 9) at the same time? Here is a little guide on how to do that. Ever been to an website like www.nytimes.com and had to register to login? Of course you can register a fake account using a disposable email address (like 6url or dodgeit) But there are more people who do that, so why not have a database with these kinds of fake accounts?